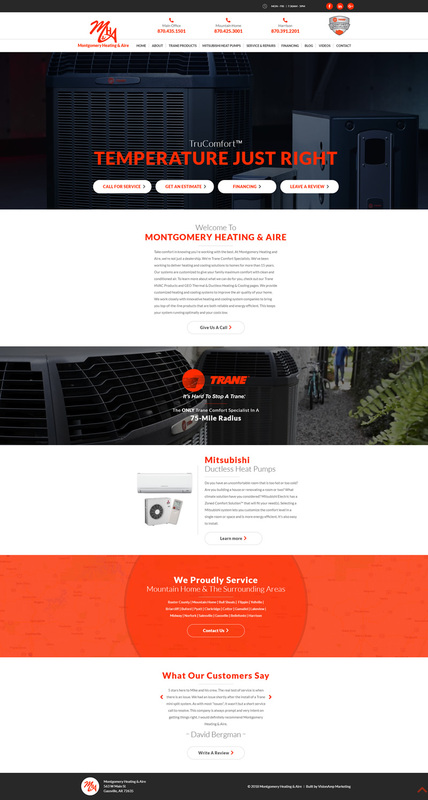 We worked with Montgomery Heating & Aire to create a new mobile-friendly and responsive website for the local company. Contact information and business hours are posted at the top of each page. Phone numbers can also be quickly dialed by simply clicking on the number on a mobile device. Easy top navigation and call-to-action buttons also make it easy for visitors to the site to access and find information about the company, their products, and their services. Located in Gassville, Arkansas, Montgomery Heating & Aire installs and maintains quality heating and cooling systems for customers throughout the Twin Lakes and surrounding areas. 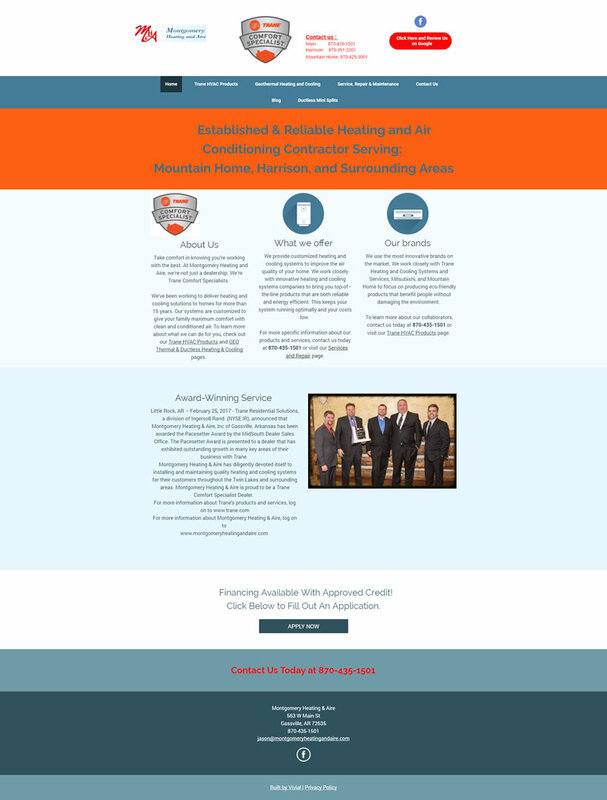 Montgomery Heating & Aire is proud to be a Trane Comfort Specialist Dealer.